Refrigerator Repair In Santa Barbara - Yost Appliance, Inc.
Can you believe it’s fall already, and winter is just around the corner? This is the season for family gatherings and delicious meals. Is your refrigerator ready for the relatives? The refrigerator is one of the most important appliances in your home … because, food! It’s also the most hardworking—it’s the one appliance that never gets to rest. WE HAVE A SPECIAL FOR ANGIE'S LIST CUSTOMERS! Below we're sharing several tips on how to clean and maintain your refrigerators to keep it working properly. Have a regular refrigerator cleaning schedule: Every day, make sure to clean up spills and to throw out spoiled food. This way, you prevent the growth of mold. Every week, wipe doors, edges, and the top of the refrigerator. A clean exterior also helps keep your refrigerator energy efficient. And at least twice a year, clean out the interior of your refrigerator. To do so, turn off the power and empty its contents. Take out the shelves and drawers. Martha Stewart recommends wiping the interiors with a baking soda solution. Make sure that shelves and drawers are at room temperature before you wash them with warm soapy water—dish soap is preferable. Rinse everything, then wipe them dry with a clean rag. Don’t forget to wipe food containers and cartons clean, too! Once done, return all contents back to the fridge. Clean off condenser coils and cooler fan: Condenser coils and cooler fans keep your refrigerator’s interiors cool, cleaning them at least once a year will minimize refrigerator repair calls. To begin, make sure to unplug your refrigerator. You may need your refrigerator manufacturer’s manual to access your condenser coils and cooler fan. The idea is to get dirt, dust, and gunk off the coils, the fan, and the areas around them. There are special brushes for this task. Once done, vacuum and clean up all the dirt, then plug your refrigerator back. Easy-peasy. Set the right temperature: Keep the temperature in your refrigerator (below 40°F, ideally 35°F) and freezer (at 0°F) at a consistent temperature to ensure that food quality is properly preserved. Make sure doors seal tightly: When you take something out of the refrigerator, make sure that the doors properly close. If they don’t, this means that cool air is seeping out and may be affecting your energy costs. Regularly clean the gasket or seal with a vinegar and water solution. If the gasket no longer provides an air-tight seal, have a refrigerator repair service replace them. Keep it full (but not crowded! ): This seems counter-intuitive, but an empty refrigerator is less energy efficient than a full one. That’s because when you open an empty fridge, there is likely more warm air to rush into it. If you don’t have food to keep, at least keep it full with bottles of water. Be careful not to cover air vents! You can read up on more refrigerator maintenance tips on our blog. If you have specific questions about refrigerator maintenance or in need of a refrigerator repair service, call us at 805.966.2846 or email us at [email protected] We’d love to help! Did we mention that we service and repair most frigerator brands? As you know, businesses today thrive as a result of the reviews they receive from customers. 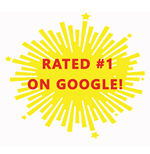 So… I must step out of my comfort zone here to ask all you good folks to rate us on Google or YELP or Facebook, every rating helps! Many of you have been fantastic in showing your support and it’s truly appreciated. 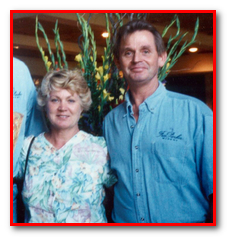 About Yost Appliance, Inc.: Yost Appliance is the oldest appliance repair service company in Santa Barbara, CA. Its expert technicians provide 100% guaranteed satisfaction for Santa Barbara dishwasher repair, small appliance repair service, washer and dryer repair, and refrigerator repair. Visit the website at http://www.yostappliance.com for information on appliance and stove repair in Santa Barbara. 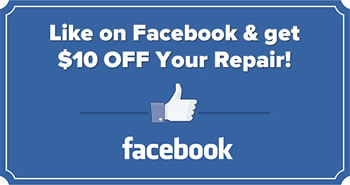 “Like” the Facebook page to receive Santa Barbara appliance maintenance tips. Call 805-966-2846 for an appliance repair appointment and mention the website to receive a special Internet discount. Great tips! And it's good to know that there are MORE refrigerator maintenance tips on this blog. I definitely need a reminder to clean the fridgerator once in a while. You got very helpful tips here, and I sure will remember this refrigerator repair company for future reference.